The Black Keys. Turn Blue. Okay, so these guys are on tour in Poland right now, so we can talk about them. We’re a little late hopping on board this disc (thanks, Mr. Editor! ), but we’ll try to catch up with the rest of the world. 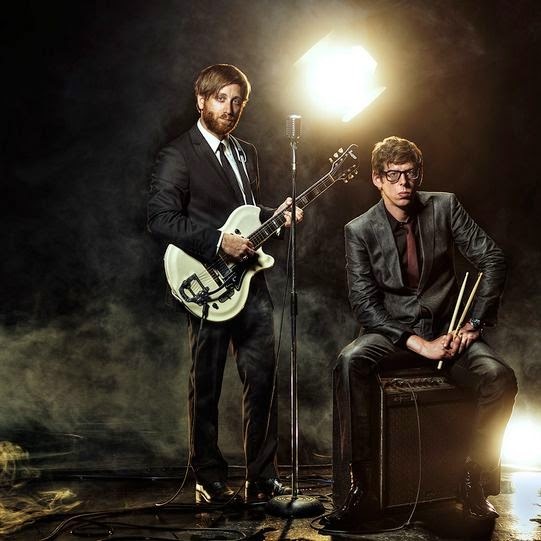 Deep background: Dan Auerbach and Patrick Carney are Akron boys (Firestone High School) who formed the band in 2001, and released a batch of albums recorded in Carney’s basement. Good stuff, blues-based rock with chunks of soul and garage band, and they got famous and famouser. Break up, make up. Then, in pursuit of further fame and fortune, they relocated to Nashville in 2010 just before recording and getting Grammy Awards for Brothers. Some folks are still pissed at them for pulling a LeBron, but that’s life in the Rust Belt. And they come back regularly, so it’s not like they make believe they’re not from here. On this album they have Danger Mouse (Brian Burton) back, who was with them on a couple of previous albums, starting with Attack & Release (2008). Maybe this is the reason they’re off on a psychedelic binge, but it sounds pretty good, regardless. Not that they don’t sound like themselves, with the usual distorted Auerbach vocals, but the blues takes a back seat on some tunes to some other influences. “Weight of Time” is straight out of the Book of Pink Floyd, “In Our Prime” gives us late Beatles filtered through blues-soaked brains--lots of cool guitar here. “Bullet in the Brain” is more psychedelia, slow and kind of sensual in a Moody Blues sort of way. But they still give us the stuff they’re known for on lots of tracks. “In Time” and maybe “Year in Review” would have fit on Brothers, and “Gotta Get Away” and “Fever” could be a garage rock leftovers from El Camino (and damned good ones too!). If you want percussion, “It’s Up to You Now” is your track. 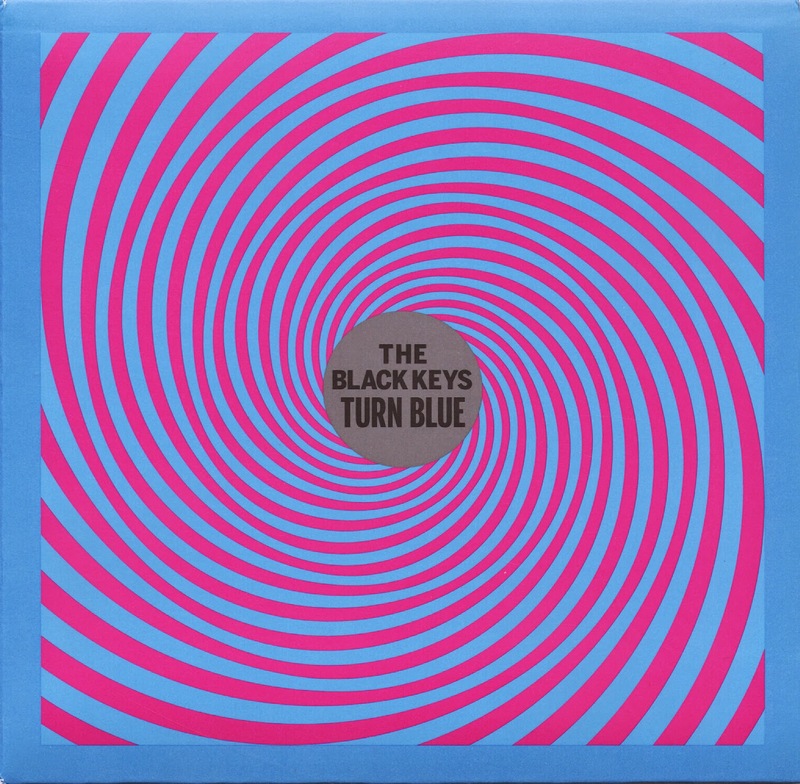 “Turn Blue” is a slow soul tune, and I was told the title is a riff on that old Ghoulardi character from Cleveland TV. The song is about love, so I suppose it has nothing to do with him. Not sure why, but "10 Lovers" sounds to me like a Phil Collins song. I guess what you like on this album depends on what you like about the Black Keys. If you’re into their down-and-dirty blues, this album might be a letdown. If you love their experimental side, this is golden. I like most of their stuff, so I’m just gonna let them drive and enjoy the ride. I don’t suppose this review will influence anybody to listen and I haven’t said anything that hasn’t already been beaten out of the album by a thousand other reviews [Editor’s Note: Never assume. ], but it’s a cool album and everybody should check it out. Personnel: Dan Auerbach (bass, guitar, keyboards, vocals), Patrick Carney (drums, keyboards, percussion), Brian Burton (keyboards, piano), Regina Ann (background vocals), Alfreda McCrary (background vocals). Tracks: Weight of Time, In Time, Turn Blue, Fever, Year in Review, Bullet in the Brain, It’s Up to You Now, Waiting on Words, 10 Lovers, In Our Prime, Gotta Get Away. We reviewed Mayfield’s last release a bit over a year ago, and gave it a glowing review. In many ways there’s not a lot more to add. He’s got another winner here, this one with slightly different stylings and a major overhaul of personnel. No Parade this time around officially (although they’re mentioned in the notes), but a revolving set of musicians who play in various combinations on each track. I’m not sure if this reflects his signing to a new label, or the reported drastic changes in personality and behavior suggested by the “documentary” linked to below. The songs on this album tend to be a bit more varied and complex than on Good Man Down, although he continues to maintain the character of second-rate also-ran. He uses changes in rhythm a lot. Point in evidence, “Caution,” the first track, a great tune with nice hooks that punctuates with slower rhythms between verses. Jen Starsinic on fiddle helps with that punctuation in fine fashion. “In Your Eyes,” further along in the album is similar in style. He does something different with the ballad “Ohio (It’s Fake),” by tacking on a rockish portion toward the end. (By the way, David, Ohio’s love for you is probably real). “My First Big Lie” is a beautiful ballad done in a more straightforward manner. 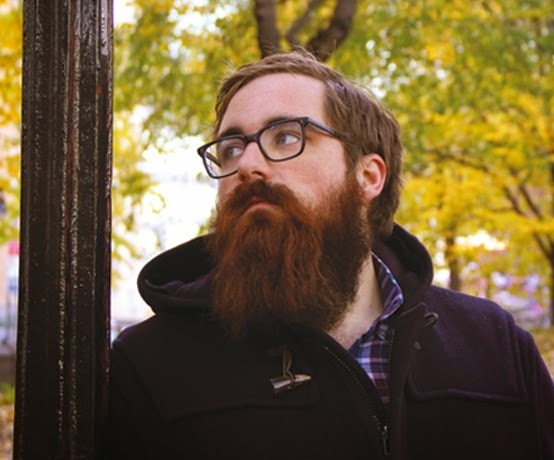 The more bluegrass-tinged “The Man I’m Trying to Be” is followed by the catchy synth-pop “Show,” a song that seems to demonstrate the man he still is from the previous song. Self-loathing is the main theme of “The One I Hate,” a classic country/Americana tune with great harmonies provided by Taylor Brashears. “Ring Out the Old” is sort of a country dance-style tune, and except for the lyrics one might consider dancing to it, at least until the rhythm changes throw you off the dancefloor. “Hangman” has a similar effect--toe-tapping misery. 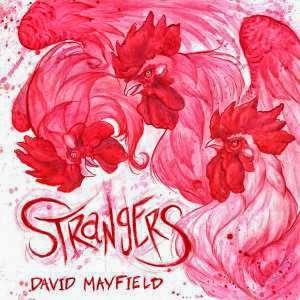 Mayfield co-wrote “Rain on My Parade” with Langhorne Slim, a more rhythmically charged tune with more great fiddle from Starsinic and a .. drum solo by Jason Edwards (where do you hear such things outside of jazz or metal?). “Face the Storm” is also upbeat musically, and while the lyrics are about adversity, for a change the result is inconclusive. He might survive this one. The album ends with another lovely ballad with vocal support from Odetta Hartman. Okay, so we have some great music here--sophisticated, well-sung and played, with lots of variety. The only constant is the lyrics about someone who is inadequate, a failure, a loser, a liar. Cheery stuff in a sense, if you like your Americana with a dash of goth. My only real complaint is the pink lyric sheet that is hard to read. Mayfield has been on tour recently as a trio these days rather than with a full band, with Cassie McKenzie Taylor and Angie Haze as his group (although neither appears on this album). I have no doubt that it’s quite a show. Personnel: David Mayfield (acoustic guitar, electric guitar, baritone guitar, electric bass guitar, 12-string guitar, wobble bass, mellotron, vocals), Jen Starsinic (fiddle, banjo, vocals), Jason Edwards (drum kit, percussion), Christian Lee Hutson (organ, electric bass guitar, acoustic guitar, synthesizer, mellotron, piano, mandolin, vocals), Odetta Hartman (vocals), Evan Harrison Parker (upright bass), Sarah Clanton Schaer (cello), Taylor Brashears (vocals), Hannah Louise Stone (vocals), Joe Giotta (hi-hat), Joe Fick (upright bass), Nora Jane Struthers (vocals), RT Valine (bass vocals). Tracks: Caution, Ohio (It’s Fake), The Man I’m Trying to Be, Show, The One I Hate, Rain on My Parade, My First Big Lie and How I Got Out of It, In Your Eyes, Ring Out the Old, Hangman, Face the Storm, Lazy Love.